Nothing is as beautiful as a beach vacation in Goa. It is a place in India, where you can visit without any reason. Whether it’s for business, pleasure or leisure, all you need to book a Goa beach resort or hotel to meet your holiday requirements. 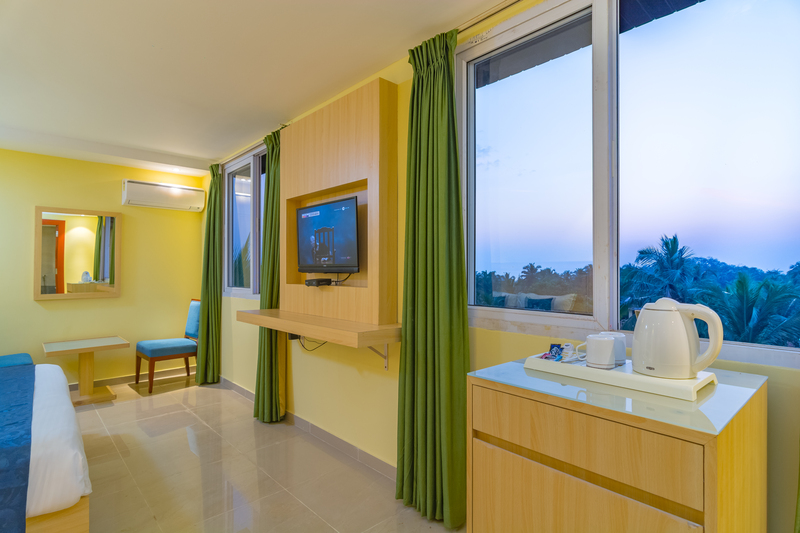 Here are few reasons why go for Goa beach resort? If you are planning for a weekend fun at Goa, then beach resorts are your smartest choice. If you’re planning for a destination wedding then why to go far away destination. Goa is not less than a dream destination for every couple. As it’s a special occasion, a luxury Goa beach resort with royal double rooms should be booked in advance. You should look for a beach resort for the wedding and even after for honeymoon, so you can enjoy a romantic weekend break. Again, something luxurious may be preferred. If you’re heading for a city break, enjoying some sightseeing and good food, a Goa beach resort may be required so you can spread your visit over two days. When you’re away on business and are likely to be spending the whole day in the city, you may prefer an overnight stay, rather than heading back late at night. If you’re going on a long journey, you may wish to break up the driving with a stay. That way, you can book royal double rooms in luxury Goa beach resort and take rest for the next day wide awake and safe on the roads. For conferences also you can book best nearby beach inn like Hyde by Toshali, a luxury resort, which provides advance technology and features for your convention and other business related gatherings. Apart from leisure visit, you can choose special hotels at Goa for your honeymoon. Best Goa beach resort provide amazing pampering features for your complete relaxation. Like at Hyde by Toshali near Candolim beach you will get wellness packages, spa, gym, multi cuisine restaurant, swimming pool and many more. Goa beach resort booking can be done on a wide range of reasons, so it is up to you to choose your reason for a beach stay. Previous Previous post: Reasons: Why Puri Resorts are Best Wedding Destinations?